It's time I talk about my most beloved sweet to make. 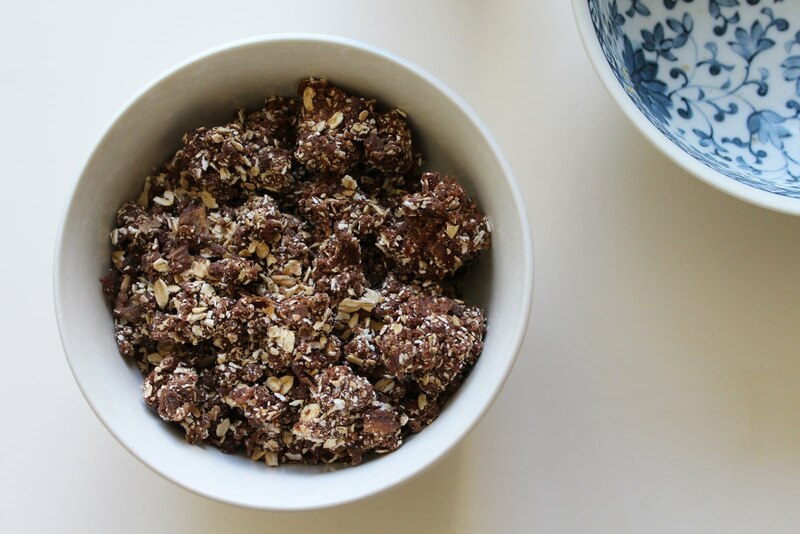 It's a sort of oat-y crumble; packed with vitamins, healthy sugars for energy, fiber, PLUS some added chocolatey goodness. (I know! Such a health goddess!). It's also a little bit of a deep dark secret, because I eat it straight out of the jar sometimes in spoonfuls. Oops. So anyway, the inspiration for this "crumble" came from an Instagram account I follow @lonijane. She calls hers "rawnola", and it calls for desiccated coconut (unsweetened and sulphur free), rolled oats, and Medjool dates. I swap out the coconut for extra oats and add in raw cacao powder, something I add to basically any sweet recipe I find. The process is essentially the same, you add all of your ingredients to some kind of blender or food processor gadget and whizz it all up till it's evenly incorporated. In all honesty I use my NutriBullet, but I use that poor thing for everything. The measurements above are pretty flexible. 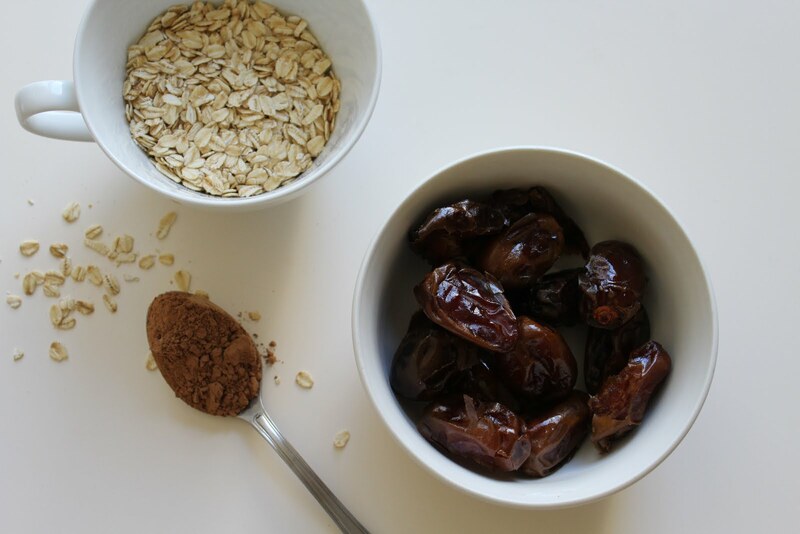 The main point is that the ratio of oatmeal to dates has to be unequal. If you add more oats than dates (about 2:1) it's more properly crumbly, more dates and it sticks and forms little balls. Either way it's honestly the bees knees, same flavor in different form. Since this is made with oats instead of nuts, I don't feel too bad about eating it quickly and non-ceremoniusly in a couple of days. If you wanted to make this even richer though, almonds or pecans would be a great substitute for the oats. Do your thing girl, add anything you want! They could be made into little energy balls or pressed down into a baking dish and sliced into "brownies" as in this raw brownie recipe. (That cookbook was pretty much my bible when I first started eating plant-based). If you were to use just dates and pecans, blend them up and press them down into brownies, you'd have yourself a pecan pie Lara bar! So try out the recipe, and you too can sit like a mouse in the night eating this straight from the jar by the light of your fridge. You're welcome.